It's a one hit K.O! Flip a coin. if heads, defender is now burned. 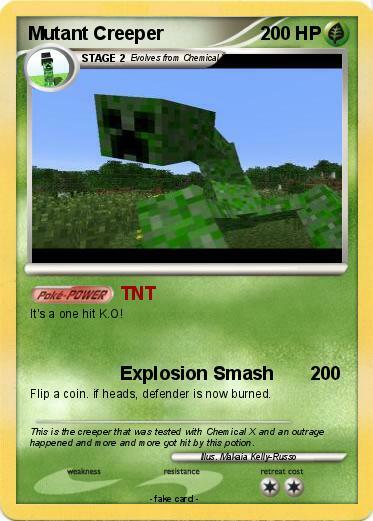 Comments : This is the creeper that was tested with Chemical X and an outrage happened and more and more got hit by this potion.